The measured wind resource in Naknek showed good potential for wind energy development as a mid-Class 3 wind power class and excellent turbulence behavior. The monitored site, near the borough landfill, does exhibit more wind shear than desirable, necessitating tall turbine towers, and in other respects may not be desirable to develop, but there is plenty of similar terrain nearby suitable for wind power development. 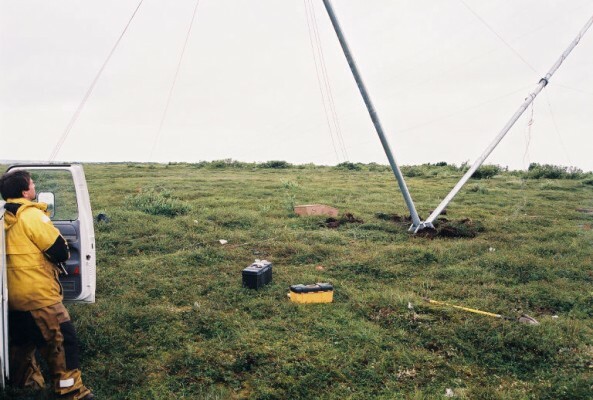 In July 2006, the meteorological test tower was moved to a site closer to Naknek Bay which may prove superior to the landfill site because of its closer proximity to onshore winds; early data recovery from the new site suggests this will be the case.